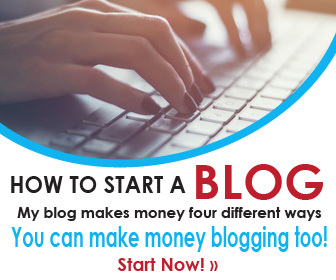 Are you ready to monetize your blog? Sue Anne Dunlevie, the owner of Successful Blogging, has been passionate about business since she was 12 and started her own toddler daycare group at her swim club. Now her unique talent lies in helping women business owners make more money by blogging. You could also build your own business as a professional blogger. Click here for my step-by-step guide on how to start a blog. Success Harbor: What were you doing before starting Successful Blogging? Sue Anne Dunlevie: Before Successful Blogging, I had a blog in the stress management niche. When I had to leave my corporate sales management job due to a stress-related illness, I wrote a book “Stress Management Decoded” and decided to start blogging about the same topics. Success Harbor: How did you get the idea for Successful Blogging? Instead of starting a blog from scratch, I decided to purchase a blog that already had readers and found Successful Blogging for sale. The owner had two blogs and wanted to sell Successful Blogging so she could focus on her travel blog. We made a deal earlier this year, and the rest is history! Success Harbor: What were your goals and expectations when you started Successful Blogging? Sue Anne Dunlevie: When I purchased it, I knew I wanted to increase the number of email subscribers. So that is my main focus for the blog. I do guest posts, reverse guest posts (I accept guest posts on SB) and have a bi-monthly podcast. All of these bring in new visitors and new subscribers. Success Harbor: What were the biggest challenges during the first year of blogging? Sue Anne Dunlevie: With my stress management blog, it took some time to get traffic. I focused on building my list and monetizing the blog through paid traffic, namely Facebook ads and advertising on Bing. Success Harbor: How did you promote your blog in the beginning? Sue Anne Dunlevie: With Successful Blogging, I had readers and subscribers and organic search results right away. So I focused on building those numbers up with free traffic methods, like guest posting and forum marketing. They have both worked well for me. Success Harbor: What are the most effective ways to promote your blog today? Sue Anne Dunlevie: Social media, especially Triberr (Check out our interview with Triberr founder, Dino Dogan. ), has significantly raised my traffic and new visitors to the blog. Success Harbor: You mention on your “About” page that you are “happily and wholeheartedly work with women who are starting or growing their online businesses—and don’t want to get caught up in the procrastination trap with their blogs.” How did you decide to focus on women entrepreneurs and bloggers? Sue Anne Dunlevie: They were my audience in the stress management niche. Since I was a woman who went through two years of building a new blogging business, I knew what other women wanted and needed for their online businesses. I was also a mentor to over 200 women in my corporate career, so it was a natural audience for me to target. Success Harbor: Can you describe the different ways that you monetized your blog? Sue Anne Dunlevie: I offer 1-1 coaching for bloggers and also “Successful Blogging School,” which will be starting up in November. Success Harbor: What is (are) the most effective monetization for you and why? Sue Anne Dunlevie: I believe that 1-1 coaching is the best way to monetize your online business. Your expertise is the reason why people read your blog. And other bloggers need a mentor when they are first starting out so they don’t go through all the trials and tribulations that can plague beginning bloggers. Success Harbor: At what point did you decide that you were ready to monetize your blog and what advice do you have for others to start monetizing their own blogs? Sue Anne Dunlevie: It’s important to build an audience before you start monetizing your blog. Danny Iny of Firepole Marketing and Jon Morrow of Boost Blog Traffic, recommend not even starting your own blog till you have built up a solid audience through guest blogging. That’s what I did with my stress management blog – I didn’t offer my course until I had strong readership numbers and built up an email list. Success Harbor: How do you determine the topics of your posts? Sue Anne Dunlevie: I listen to what my audience wants and give them topics they request. I survey them every three months and also listen to their questions on social media and watch the comments on my blog and other popular blogs. Success Harbor: What is your process of creating great content? Sue Anne Dunlevie: I spend 4-5 hours a week writing content, both for my blog and for other guest posting opportunities. Success Harbor: What are the reasons you have managed to build a successful blog with substantial traffic? Sue Anne Dunlevie: With my stress management blog, I build it up through a mixture of free and paid traffic methods. Successful Blogging came with a good audience that I’m growing with free traffic methods, namely blogger outreach, and social media. Success Harbor: What mistakes do you see bloggers make? Sue Anne Dunlevie: Trying to monetize their blogs with ads when they don’t have enough traffic and not creating their own products and services. Sue Anne wrote Stress Management Decoded when she left corporate life due to a stress-induced illness. Connect with Sue Anne on Twitter, Facebook, and Pinterest. George Meszaros is the editor and co-founder of Success Harbor where entrepreneurs learn about building successful companies. Success Harbor is dedicated to document the entrepreneurial journey through interviews, original research, and unique content. George Meszaros is also co-founder of Webene, a web design and digital marketing agency. It all starts with a great domain name! I have been using Godaddy for years to register my domains. – Avoid numbers and hyphens. – Research it to make sure it is not already trademarked. There are many things that make a successful business. One of them is a great website. If you want a website that will work for your business, hire a professional! Your website also needs reliable and cost-effective hosting. I have been using SiteGround website hosting for a while, and I have been very happy with them. Know your finances! We have been using Freshbooks in our business for several years. Since we have been using Freshbooks invoicing our clients have been so much easier. We also use Freshbooks to send estimates. Never stop marketing! Email marketing is good for your business. And with a tool as powerful and easy to use as Constant Contact, you don’t need to be a marketing expert to see results. Don’t be afraid to get help! Most startups and small business owners need help in many different areas at different times. Success Harbor offers website design, marketing, branding and consulting services.